Bruce Charles 'Bill' Mollison is a researcher, author, scientist, teacher and naturalist from Australia. 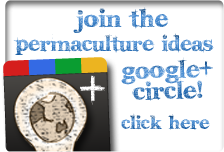 He is considered to be the 'father of permaculture', an integrated system of design, co-developed with David Holmgren, that encompasses not only agriculture, horticulture, architecture and ecology, but also economic systems, land access strategies and legal systems for businesses and communities. He received the Right Livelihood Award in 1981 with Patrick van Rensburg.